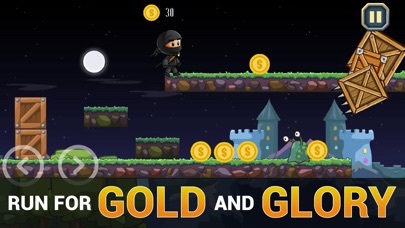 Super Ninja Challenges is a funny and addictive game is awesome Adventure game. 11 levels with different difficulties . 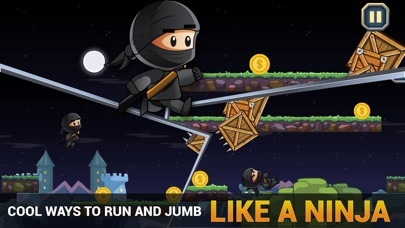 Meet Our courageous Super Ninja Challenges, the most Crazy ninja warrior ever to be in a touchscreen runner game battle! Collecting more Coins. Have a fun run journey! have fun in a 2d adventure action platformer game WHAT'S NEW: - New devil's world - New Challenges TIPS: - Try to overrun and ninja jump over the cliff. - Double jump to jump higher. - Get items to have more points.